While water elements in a landscape are eye catching, there are many other reasons to consider adding them to your DIY project. A functional and aesthetic landscape consists of several different elements working harmoniously together. Water is an element that contributes greatly to the overall beauty of the design, and adding a water feature to your project provides some unexpected benefits. 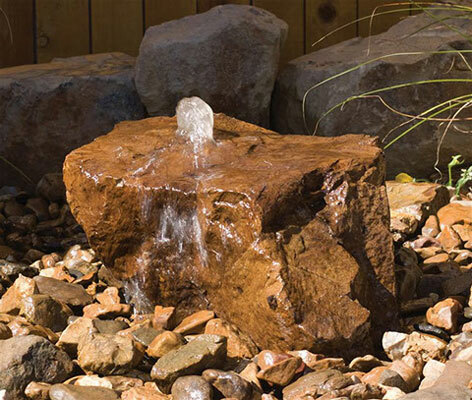 A pondless water feature is essentially a recirculating waterfall, fountain, or bubbler without the presence of a pond. Pondless water features have an underground basin that catches the water and then it recirculates back to the top. Because the water in these features re-circulate, they don't use much water or grow much bacteria. Pondless water features are also great for families with young children because they don't pose safety risks. These water features are very adaptable and can accentuate large or small areas nicely. 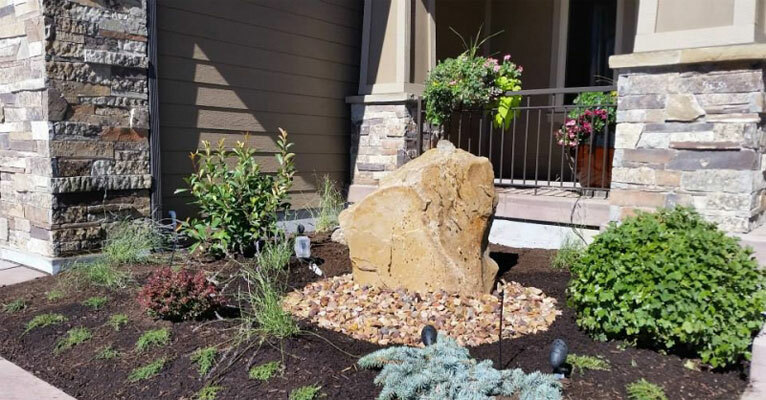 If you don't have much space, or if you have a small area that you can't figure out what to do with, consider adding in a core drilled boulder or a gabion water feature. Awkward little spots are often the best places to tuck in a water feature. If you have a large statement space you may want to consider a steel or stone waterfall, or even a dramatic water and fire feature. 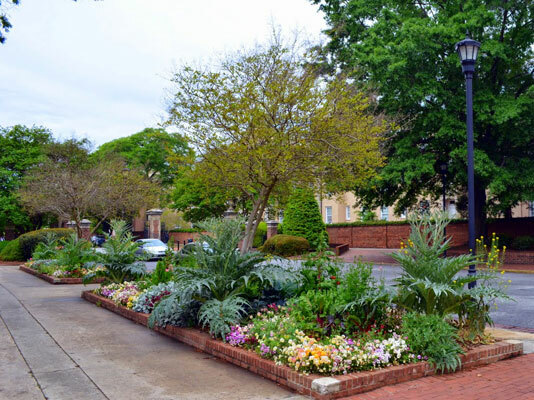 Think about all the places in your yard that have not been used well in the past and consider turning them into a focal point with a Klik DIY water feature and watch that spot in your landscape become your new favorite spot. Pondless water features require very little maintenance and can deliver texture, visual interest, natural sounds, and an increase of birds, butterflies and other beneficial pollinators without much effort at all. 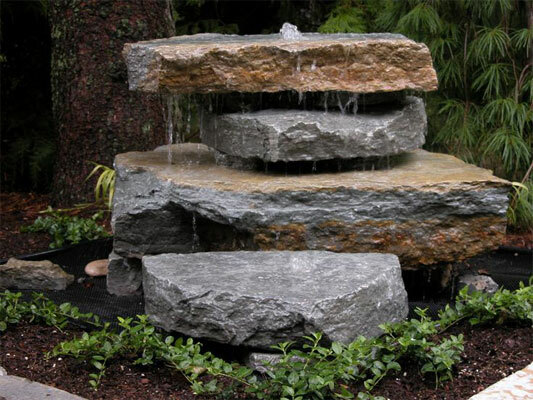 Simple wall fountains or core drilled boulder bubblers to huge cascading waterfalls are great choices if you want to avoid a lot of maintenance. 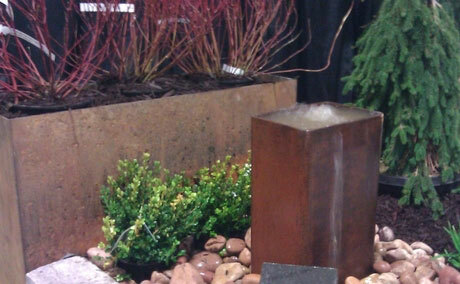 If you would like to create your own unique water feature for your yard let us help put together everything you need. 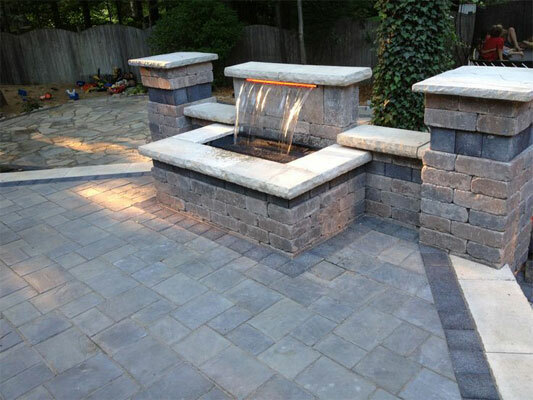 We can help you coordinate all your materials for a core drilled boulder, Belgard wall, or steel fountain. 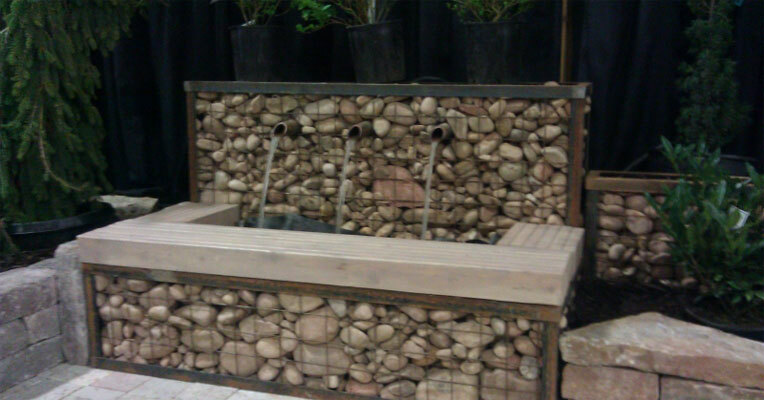 We can even show you how to easily and inexpensively build a gabion water feature. We can provide individual items or put everything you need together in a kit so you can easily build your own diy water feature.